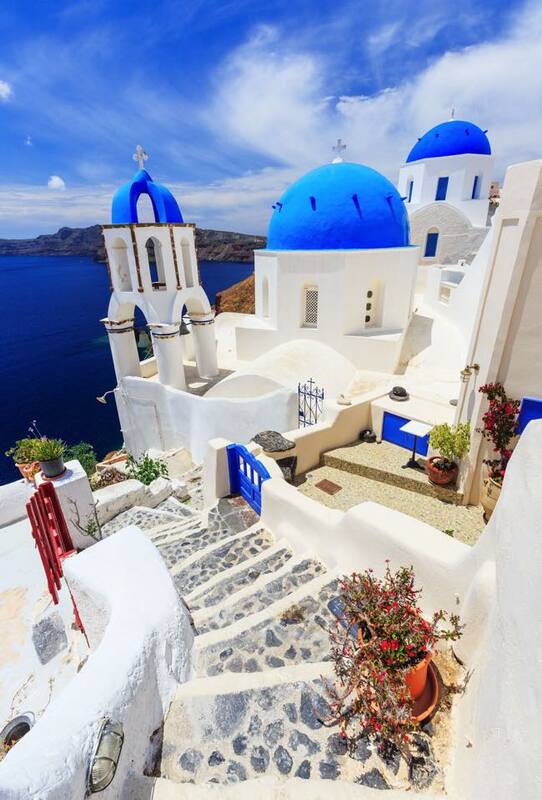 The country of Greece includes 6,000 islands. Only 227 of those islands are inhabited. Of those 227, only two-thirds are truly accessible to tourists. Every Greek island is entirely different and worth its own trip, but most people daydream about the most popularly photographed Greek islands and those are the ones they tend to visit first. From the beautiful white mountains on the island of Crete to the red sand of Santorini, the options are unlimited and bring people back to the Greek islands time and time again. I like to refer Crete to as the gateway drug of Greek islands. It is situated between Southern, mainland Greece and northern Africa. I call it the gateway drug because it is significantly more affordable than most of the other postcard islands. It also is home to a naval base, which tends to make traveling military members feel safer. Actually, the crime rate of Chania was less than Marine Corps Base Camp Lejeune’s, where we were stationed at the time of our visit. Safety is not an issue in the country of Greece as a whole, but it should be the bottom of your worry list on the island of Crete for sure. Getting to and from Crete is very simple. There are daily ferries from mainland Greece to Crete, but it is cheaper to fly from Athens on a short 50-minute flight. Once you are on Crete it is incredibly affordable (30 to 40 euros) to rent a car for the day and drive all over the island. This is a must-do if you plan to explore secluded beaches and monasteries. The bus system on Crete is very efficient, but and you see more by car. Everyone who visits Greece wants to go to Santorini or Mykonos. Typically, tourists visit both islands because they are close to each other. Getting to Santorini can happen a few ways. The first is a flight from Athens or Crete, though this is a very pricey option. The second option is a ridiculously long ferry ride from Iraklio, Crete. There are no ferries to Santorini from Crete, so you must ferry from Iraklio, which is 2 ½ hours around the other side of the island. When I say that the ferry is ridiculously long, I mean three to nine hours depending on what kind of ferry you take. Most recently, I took the high-speed ferry with the kids and it was about three hours. Normally, there is not a huge price difference between the two different types of ferries, so take the speed ferry if at all possible! It could be a great adventure to take the long, overnight ferries, but it is a bit stressful with kids and luggage. Santorini is best done by car, which is the tricky part. The cars are cheaper to rent at the bottom of the mountain at the port, but then you have to drive a manual in stop-and-go traffic, up a very large, very steep, volcanic mountain. If you are not a manual professional this is a nightmare. You can rent vehicles at the top — in town — but they are about 15 euros more per day. 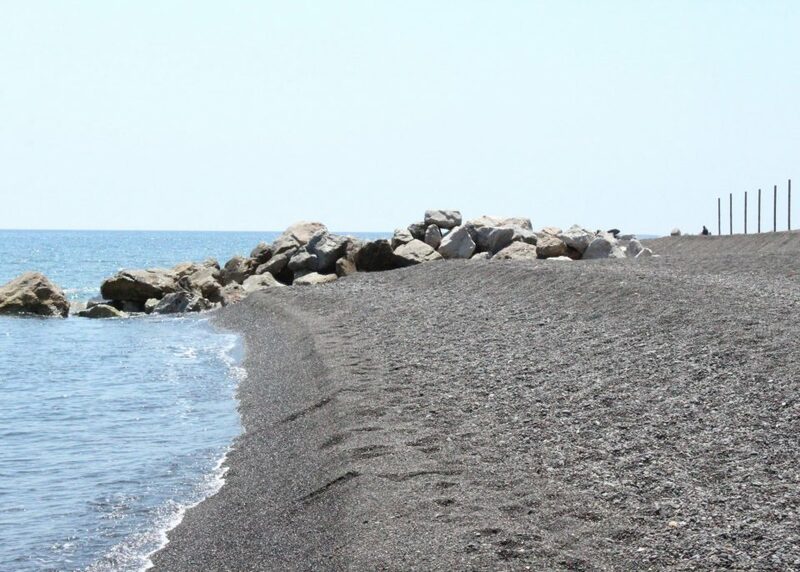 Renting a car is definitely worth it to get to all of the amazing and secluded spots Santorini has to offer. If renting a car is an absolute no for you, there are public buses. 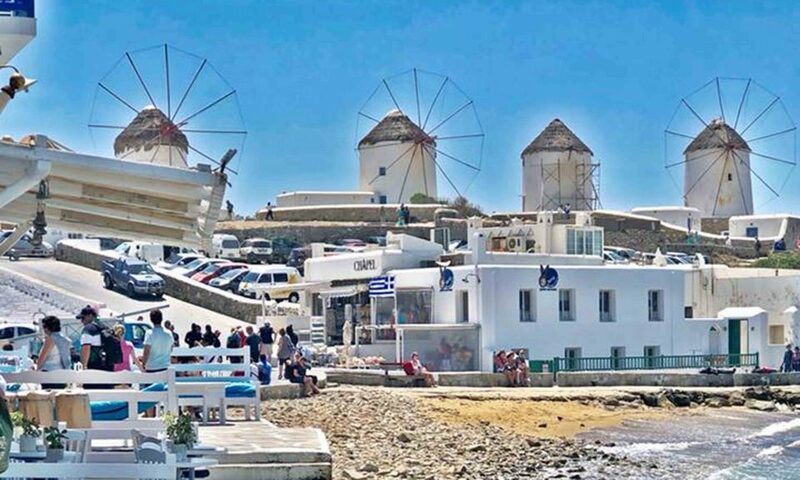 Mykonos is a very small island and a great starting place for most tourists. 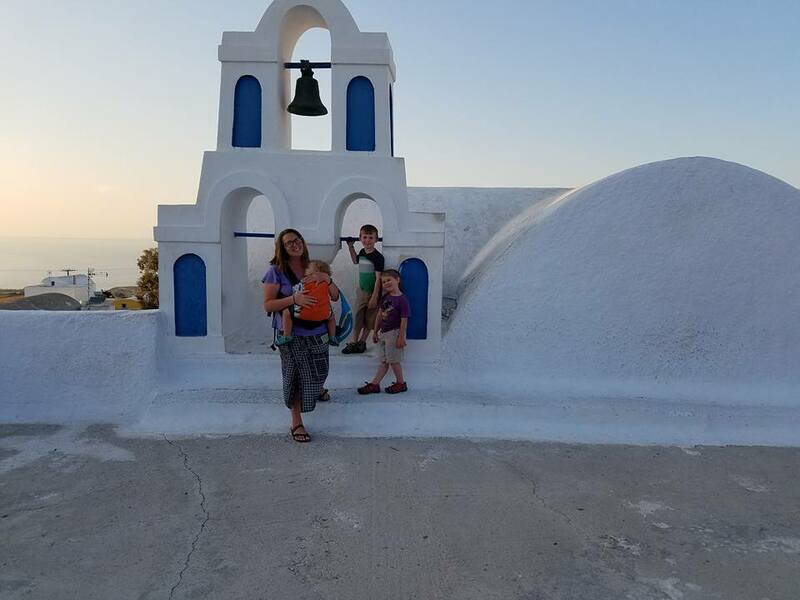 I have heard from readers that they really enjoyed starting their Greek island journey in Mykonos because it is so westernized. 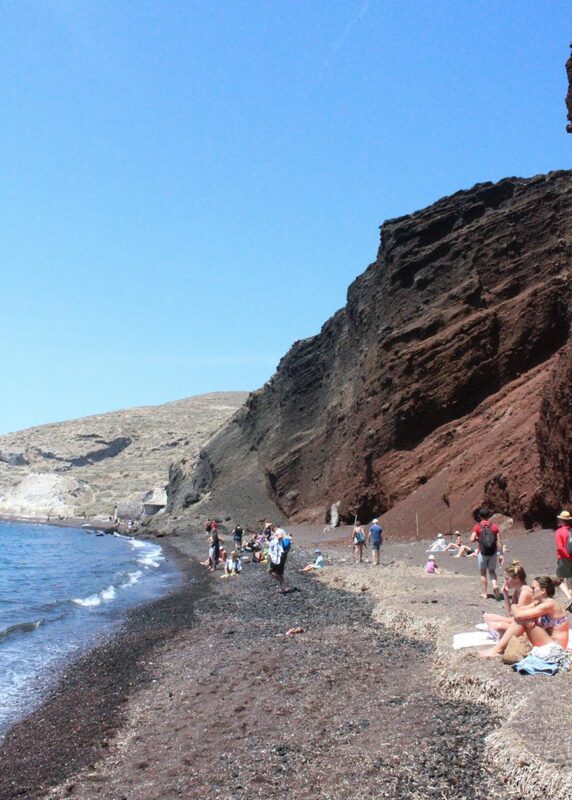 The whole island is entirely dedicated to tourism, even more so than other picturesque places like Santorini and Crete. Mykonos exists solely for tourism and, therefore, no car is required to get around. Everything you would want to see is within three square miles. There are ferries available to Mykonos from Santorini, Iraklio, Crete, and Athens. 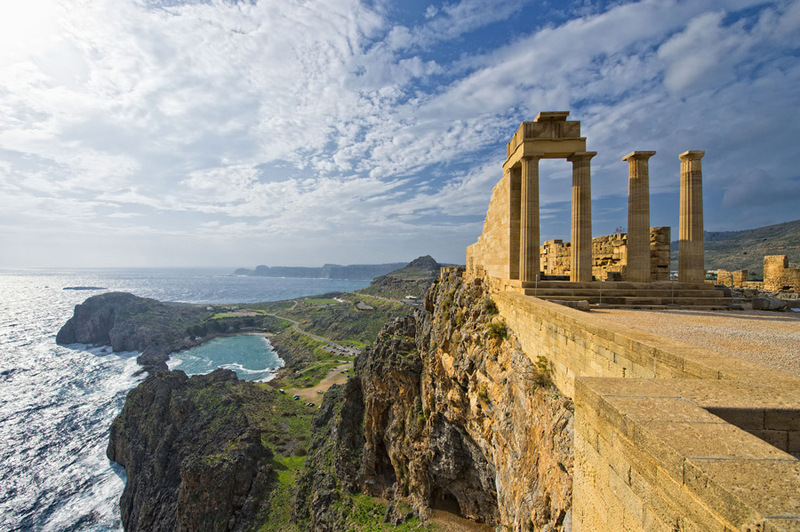 I tend to refer to Rhodes as a secondary island because it is not usually in a tourist’s top three. 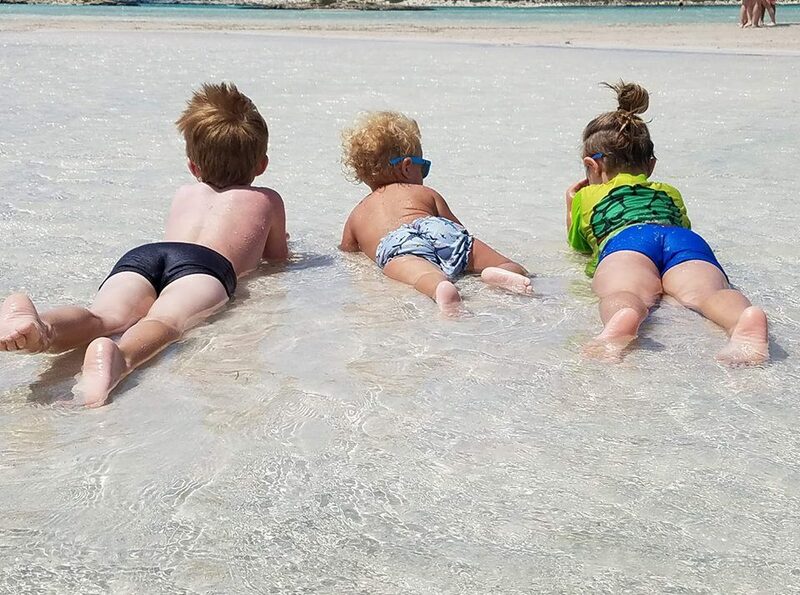 Rhodes is my favorite island — so much so that I named a child after it. What makes Rhodes a secondary island is its lack of affordable accessibility. There are 16- to 18-hour ferry rides from Iraklio, Crete, and Athens, or you can fly in, which is quite costly. You have to really want to go there to make it happen. Visiting Rhodes is so worth it, though. I can barely express how much I love it, and I hope that you will be inspired to make it happen based on my recommendation. A car would be nice to have to explore the island, but it’s not necessary in order to see the bulk of the popular tourist sites. Also, hiring a car and driver for the day is more affordable in Greece than most other places. If you are uncomfortable driving in a foreign country, this is a good option for you. Ten years ago, no one I knew was traveling to Zakynthos, but Facebook ads made shipwreck beach on Zakynthos famous. A rather large island, Zakynthos requires a car to get around and can be accessed by car and ferry or by air. You can rent a car in Athens and drive the six hours to the Western-most coast of mainland Greece. You should definitely visit Olympia (site of the first Olympics in 776 B.C.). Then, just north is the ferry port to cross over to Zakynthos. The other option is to fly out of Athens to Zakynthos and find a car upon arrival. Zakynthos is still developing, and resorts are popping up everywhere. Do not let the logistics get the better of you when traveling the Greek islands. It all sounds very complicated, but it is not as bad as it appears. During high tourist season — mid-May through September — the ferry runs more often. There are a lot of things that the Greek people do well, but logistics and sticking to a schedule are not among them. Do not fret. Book what you can online. You will have to go to the ticket offices to pick up tickets, though, and these offices are not next door to the actual ferry. Give yourself ample time and flexibility to learn the ropes. Worst-case scenario, you get stuck on an 18-hour ferry — just bring a deck of cards and enjoy the ride. You can’t go to Greece without also seeing Athens. Follow the Edventures of the Wild Bradburys through the ruins of Athens.